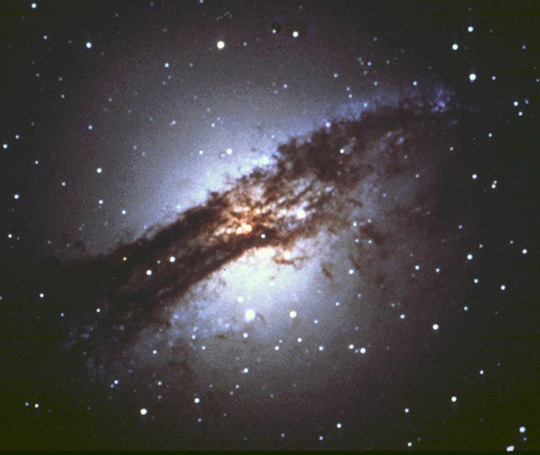 At a distance of 11 million light years, Centaurus A or NGC 5128, is the nearest example of a type of galaxy called an active galaxy. 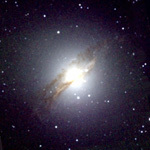 It is a large elliptically shaped galaxy that shows evidence of repeated explosions, probably from a supermassive black hole in the center of the galaxy. 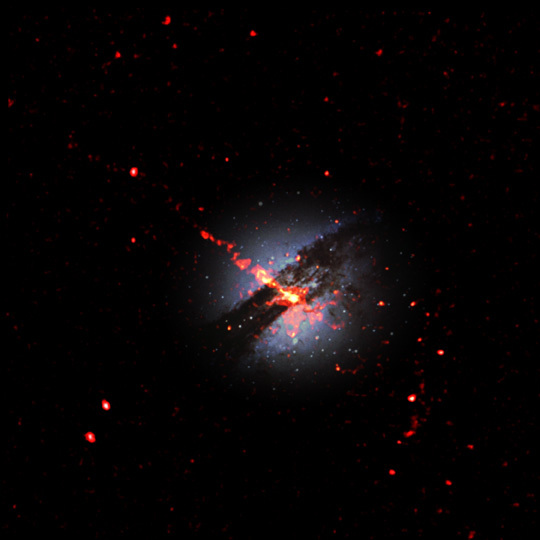 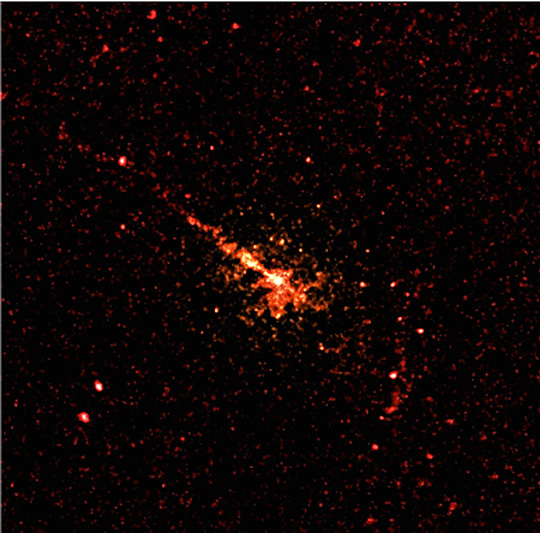 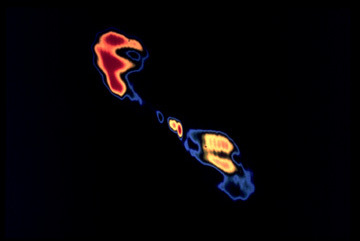 Radio and X-ray images of the galaxy show a jet of high-energy particles blasting out from the center. 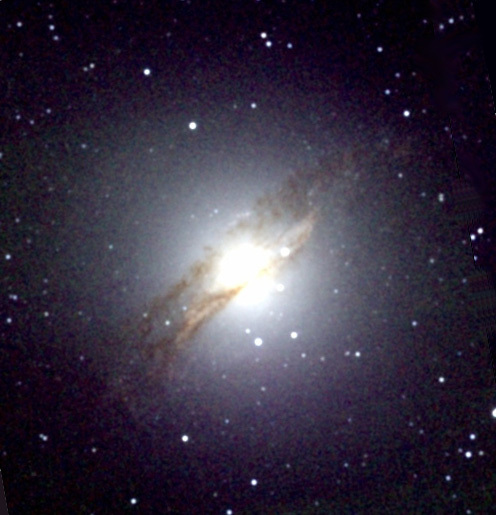 Because of its unusual nature and proximity, it is one of the most extensively studied galaxies in the southern hemisphere. Coordinates (J2000) RA 13h 25m 28s | Dec -43° 01´ 11"